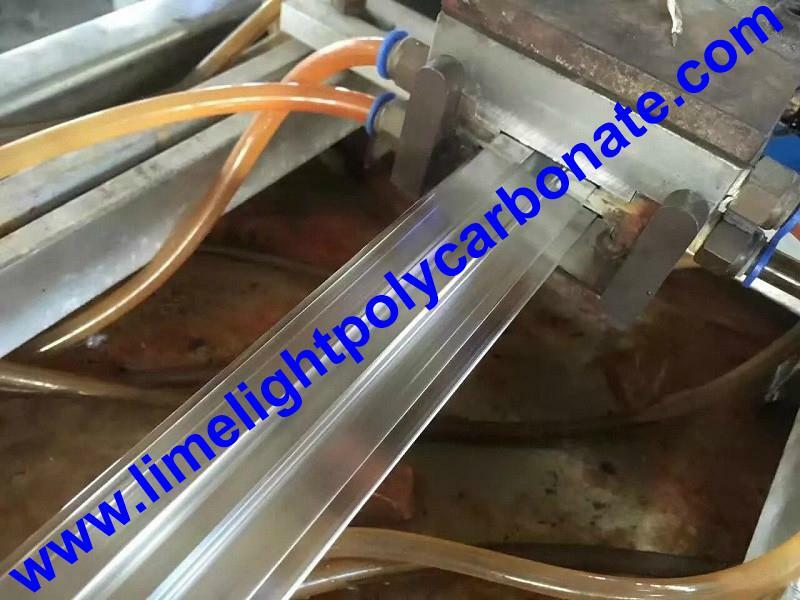 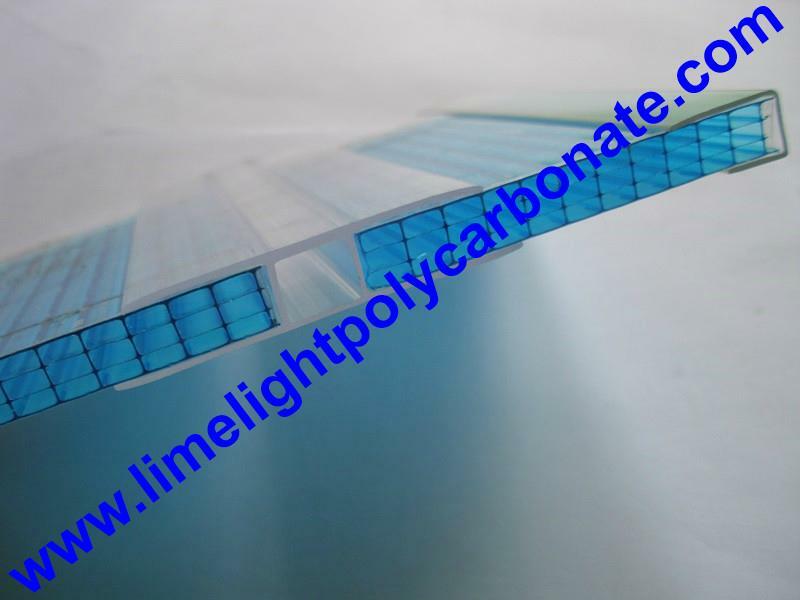 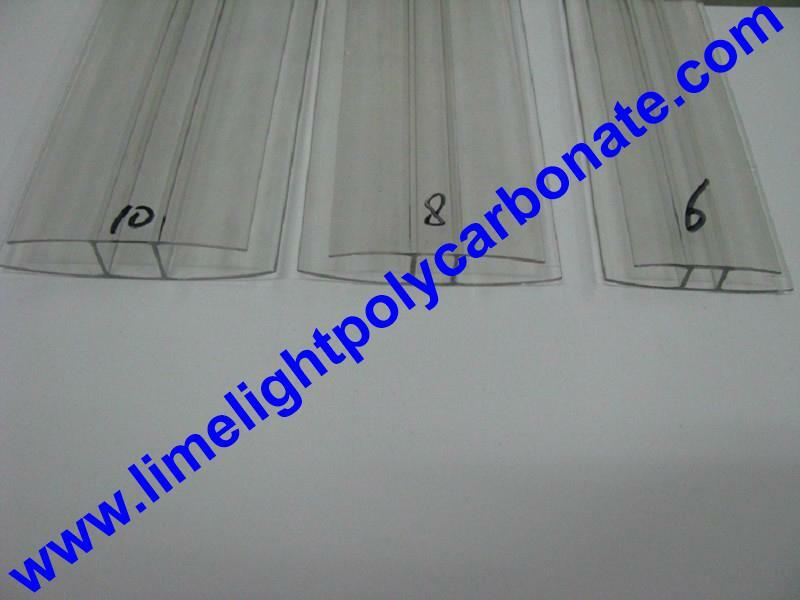 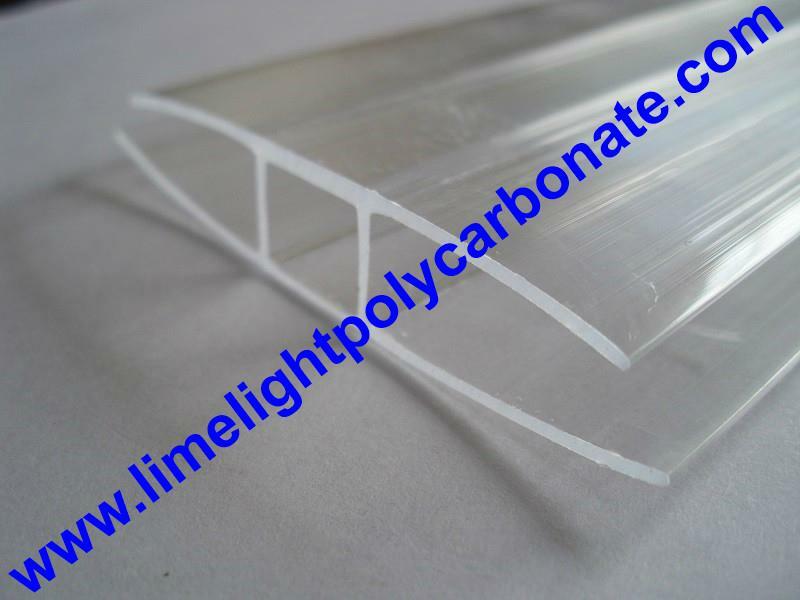 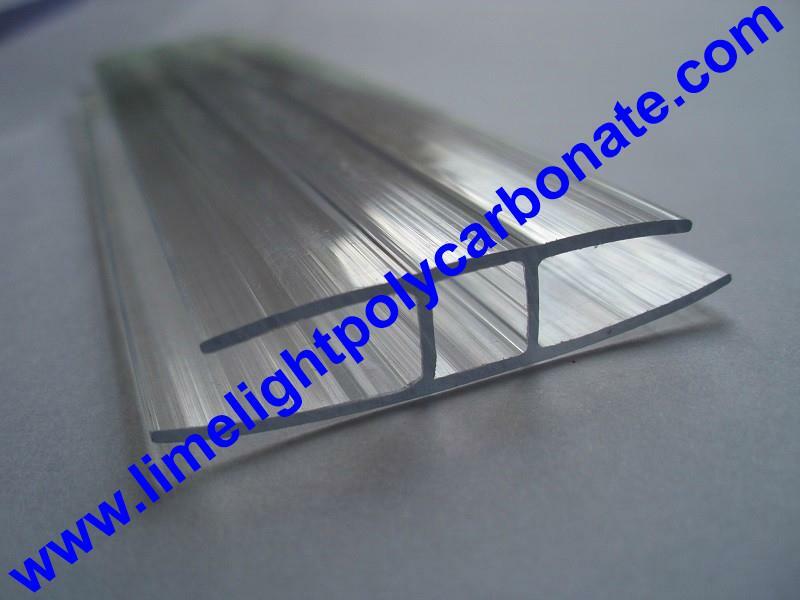 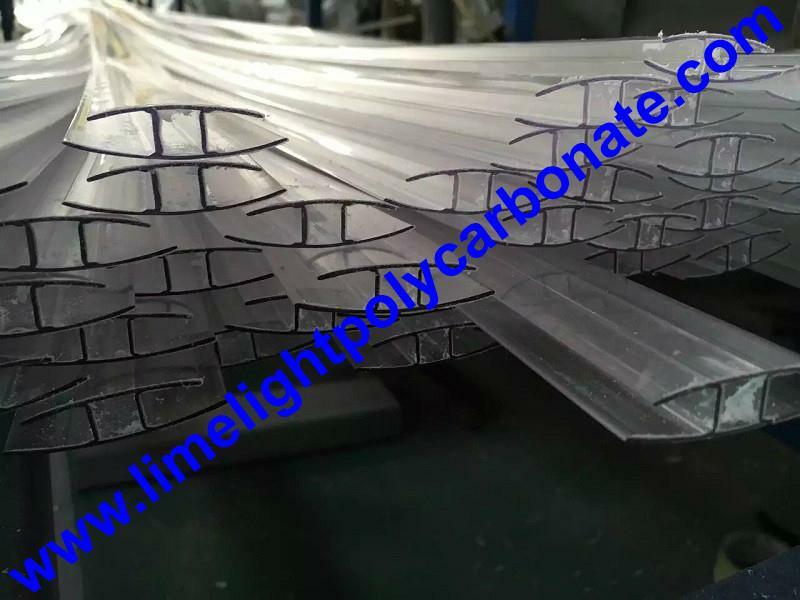 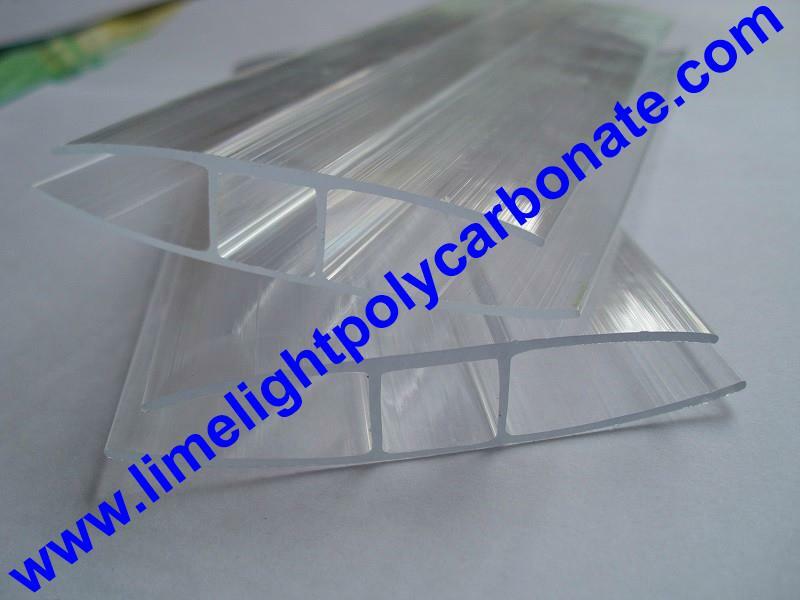 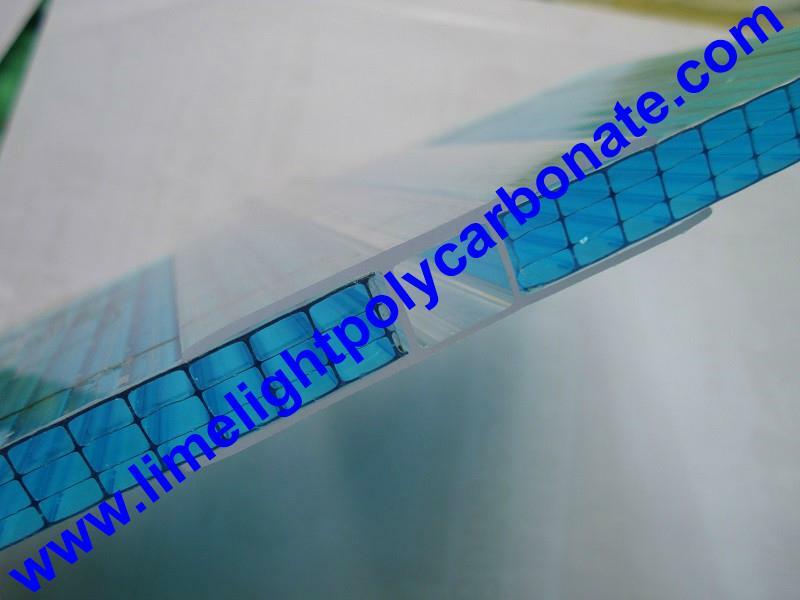 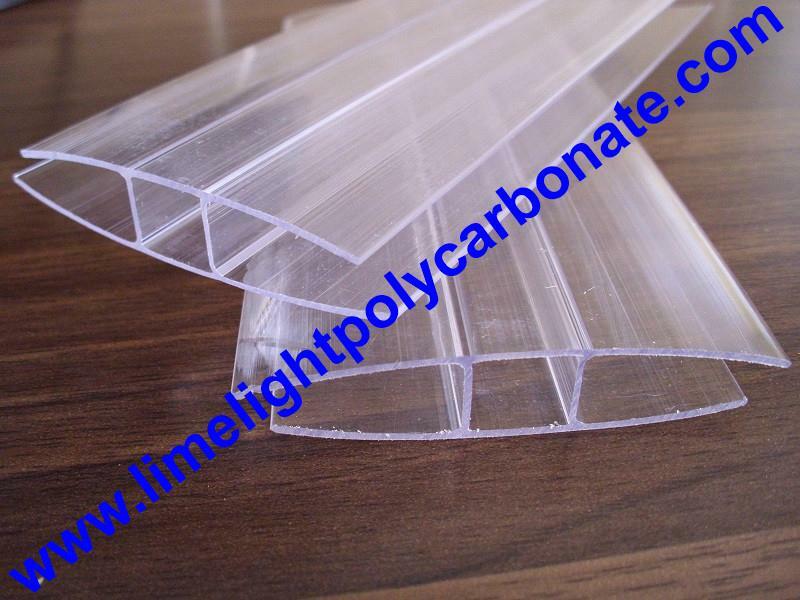 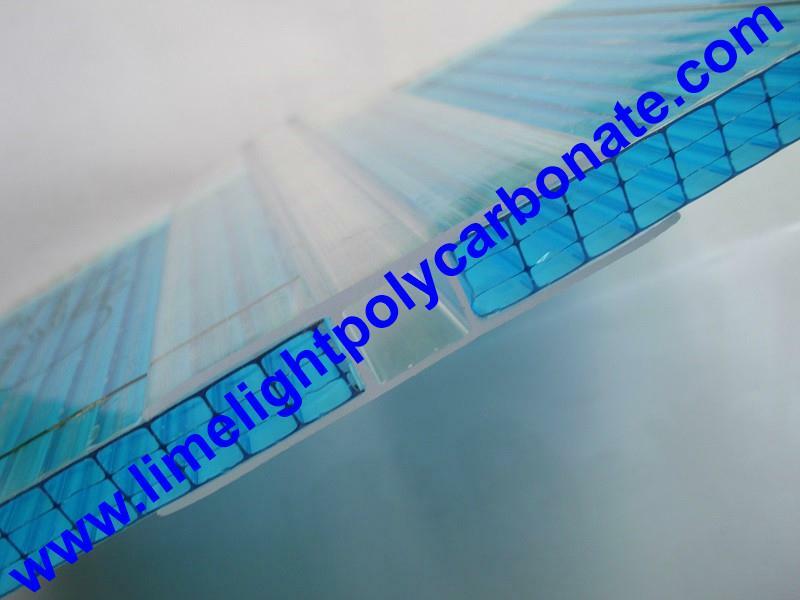 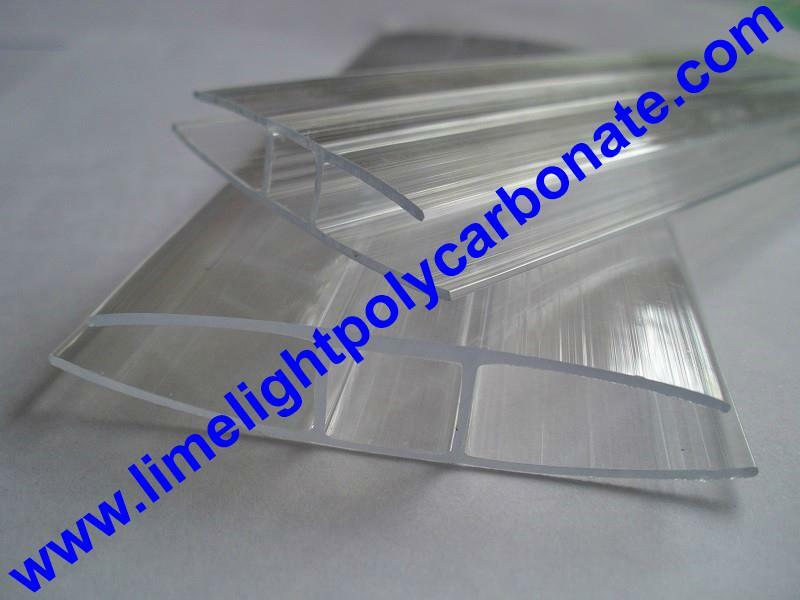 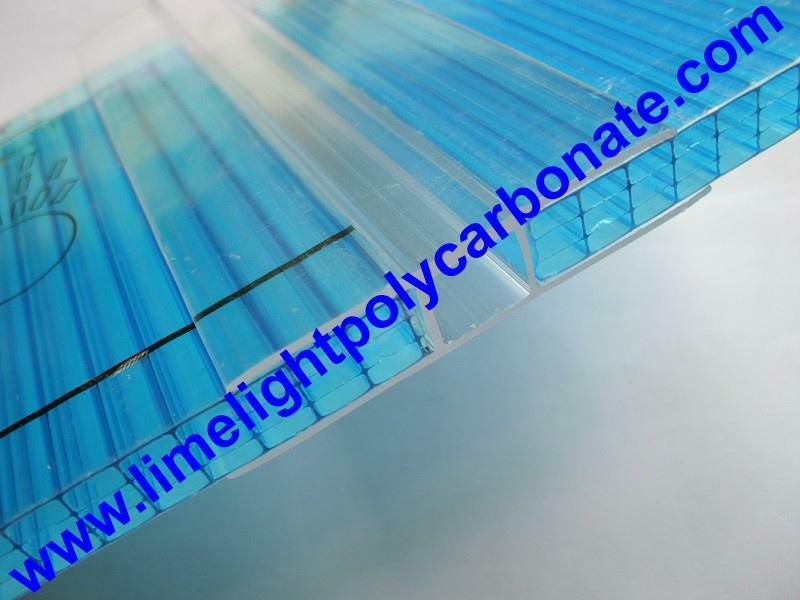 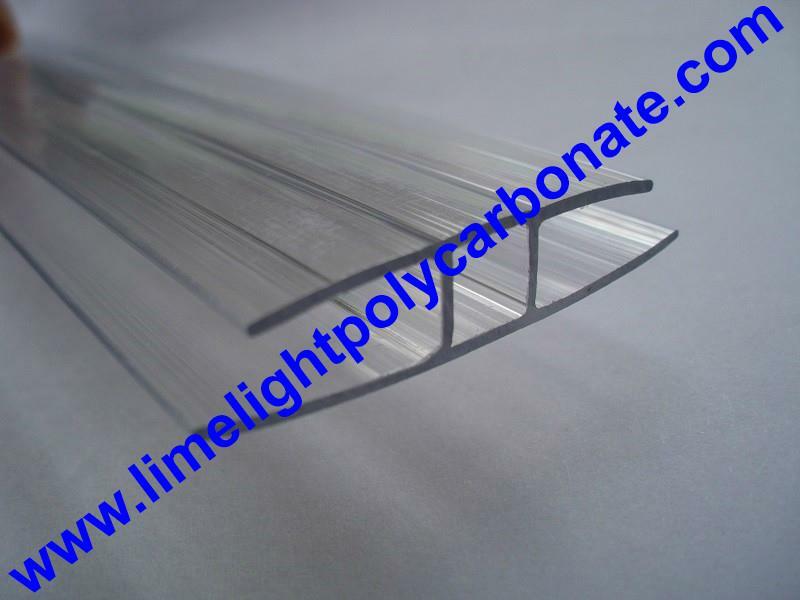 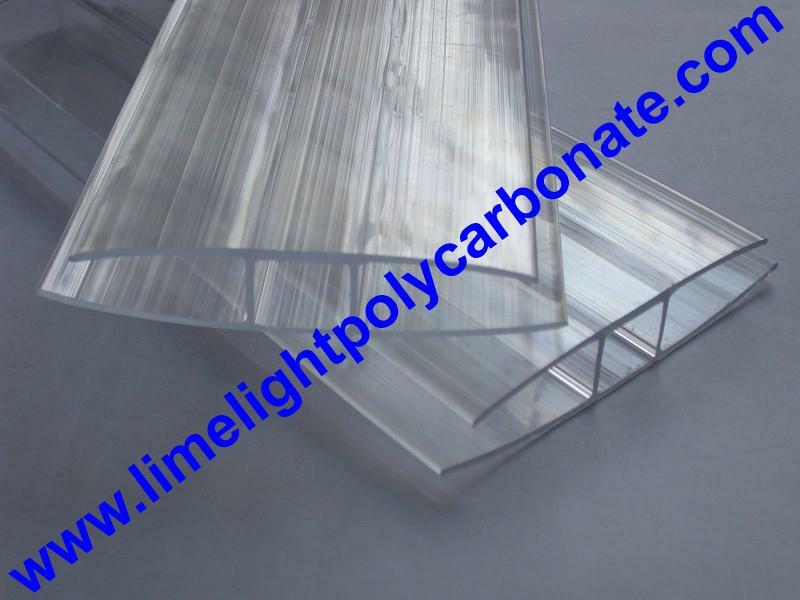 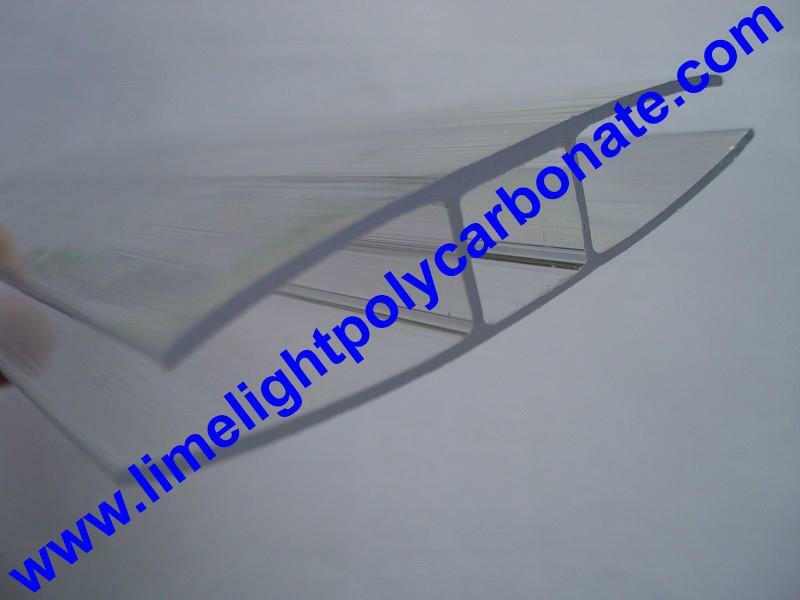 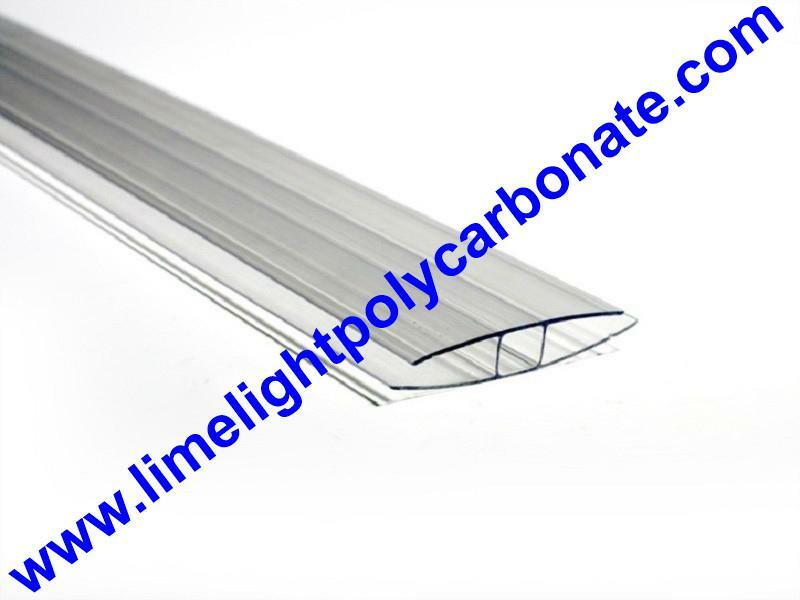 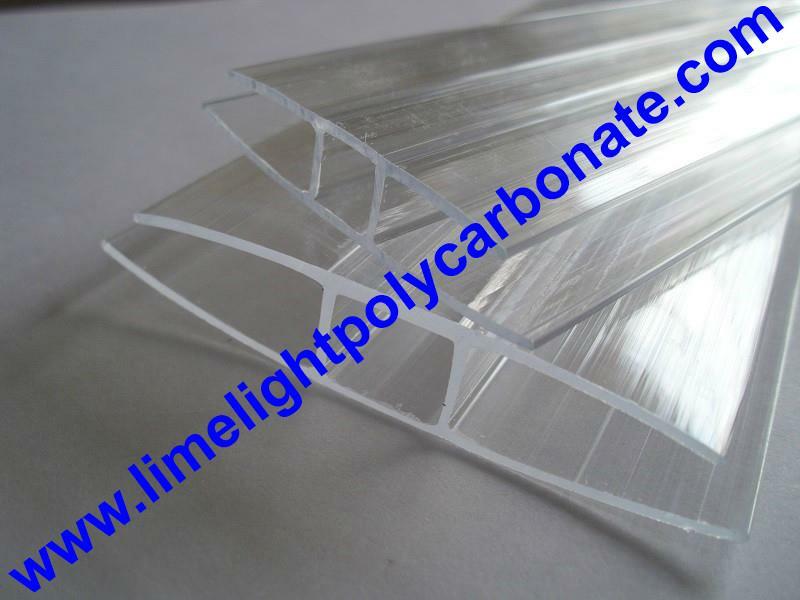 Polycarbonate sheet H profiles is used to connect two polycarbonate sheet together and provide good-looking of the project. 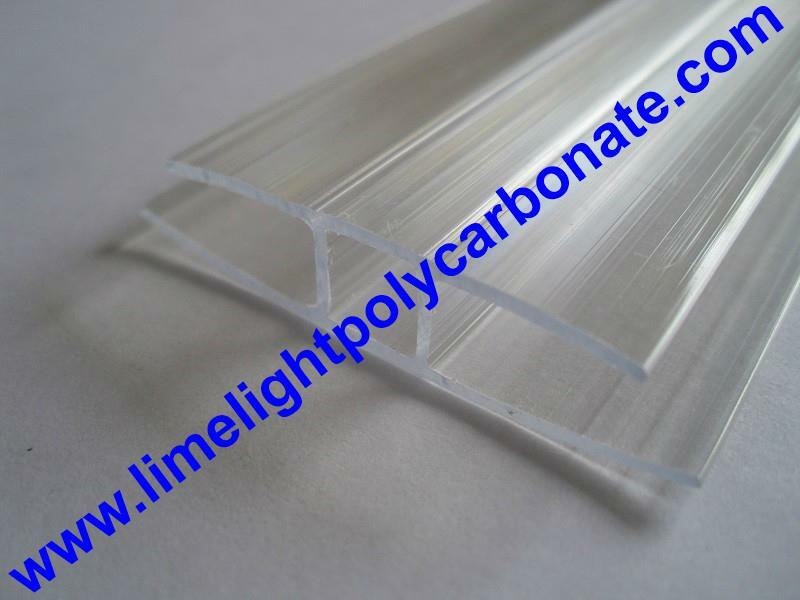 Suitable thickness: 4mm, 6mm, 8mm, 10mm, 16mm, etc. 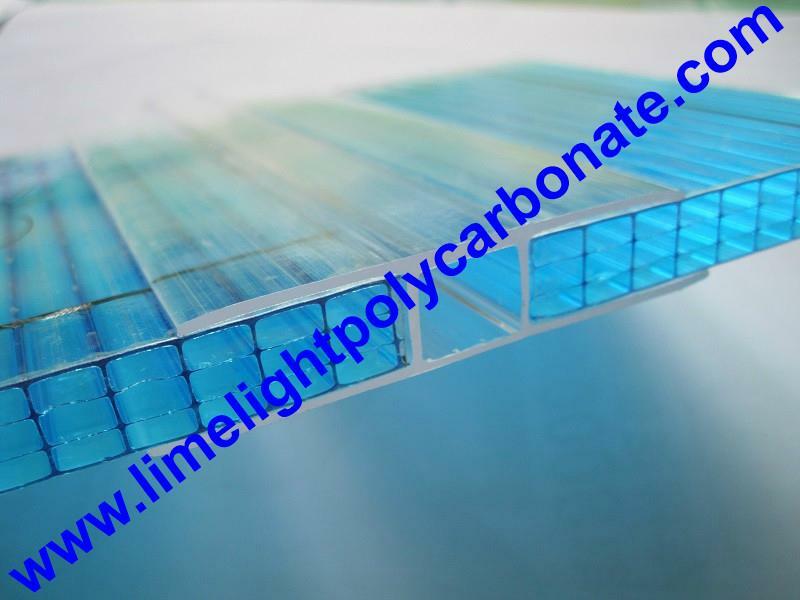 Colour: Clear, bronze, blue, green, white, red, etc.